Do you have bad credit or no credit? Are you afraid of being denied by a regular credit card application? Find a secured credit card that can help rebuild your credit history or start from scratch. Similar to the way some loans need to be backed by other assets, secured credit cards are backed by a security deposit. In order to receive a secured credit card, you have to deposit a certain amount of money with the credit card issuer - usually 1-2 times the credit limit available. For example, if you want a secured credit card with a $1,000 limit, you’ll need to deposit $1,000-2,000. The deposit protects the credit card issuer, in the event that you cannot pay your bill. Why should I get a secured credit card? Secured credit cards are a great option for people who have no credit history or who need to repair their existing credit history; they can also be great for immigrants who are new to Canada. 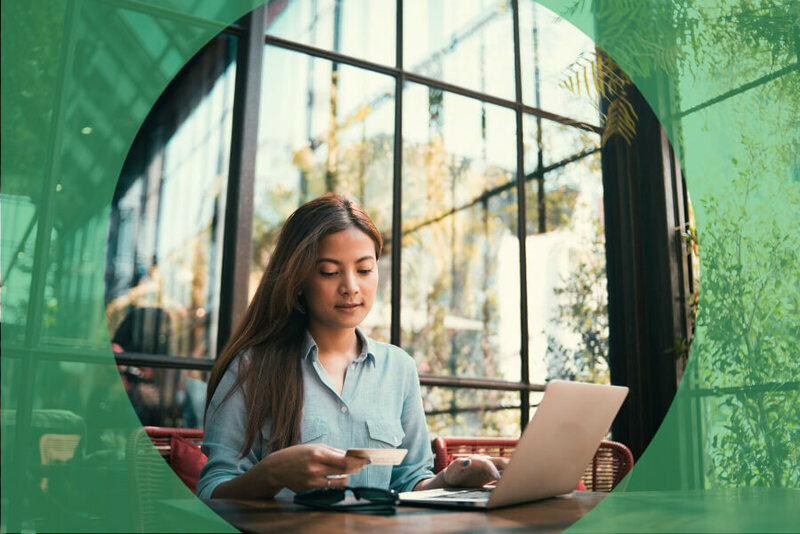 Whether it’s your first credit card or a way to fix your credit history, secured credit cards allow you to use a credit card and prove to lenders that you can be a responsible borrower. What are the disadvantages of secured credit cards? While secured credit cards can be great for building credit, and may be the only option for some Canadians, you should be aware of a few disadvantages. First, compared to unsecured cards, secured credit cards tend to have higher interest rates (above 19.99%). You are also required to give a security deposit and you cannot access these funds while you have the card. Some lenders may also ask you to pay a setup fee, which is a small percentage of your credit limit (i.e. 3.00% of $1,000 = $30 setup fee). These measures aren’t meant to deter you from applying or using the cards; they are simply put in place so you can prove you are serious about being a responsible borrower. While you cannot access the security deposit while you have the secured credit card, your deposit can be placed in a guaranteed investment certificate to collect interest, which will later be returned to you, when your credit improves and you qualify for an unsecured credit card. How long do you have to use a secured credit card? If you use your secured credit card responsibly (i.e. pay off your entire balance on time each month), your lender will eventually offer you an unsecured credit card and return your security deposit to you. It could take 12 to 18 months, depending on your prior credit history and how good the lender feels about you as a borrower. Yes! Although you may not be eligible for most traditional unsecured credit cards, there is a type of card which specialises in offering credit to those with lower credit scores who are looking to re-build their credit. If you have a credit score of at least 500 or above and meet certain conditions, you may be eligible for an unsecured credit card, such as the Affirm MasterCard. However, although this card doesn’t require a security deposit, you should be aware of the higher interest rate before applying. April 23, 2019 How Many Credit Cards Should I Have?